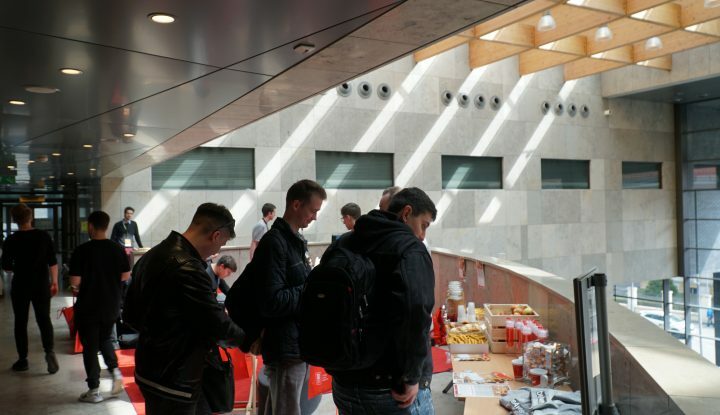 Academic IT Festival is an international conference organized in Cracow since 2005 by students and for students. In this year you can meet us there, because Sabre is gold sponsor of Festival! Each year Festival gathers IT-enthusiasts from the entire country. The conference annually hosts guests from the IT environment. The participants have an opportunity to listen to many interesting lectures, including one given by Piotr Zieliński from Sabre. There are also many workshops, which help to develop practical skills. Sabre experts – Judyta Barczyk and Sabina Polityło lead workshops on how to work in Scrum. For students who want to get to know Sabre better or are looking for internship we have prepared Sabre stand. Everyone can meet there our recruiters, talk about details of Sabre Summer Internship or just chill-out. As organizers says the festival gives you a chance to share your knowledge, views, opinions and more, with people with similar interests. It lets you become more aware of the IT world, make new connections, meet interesting people, expand horizons.